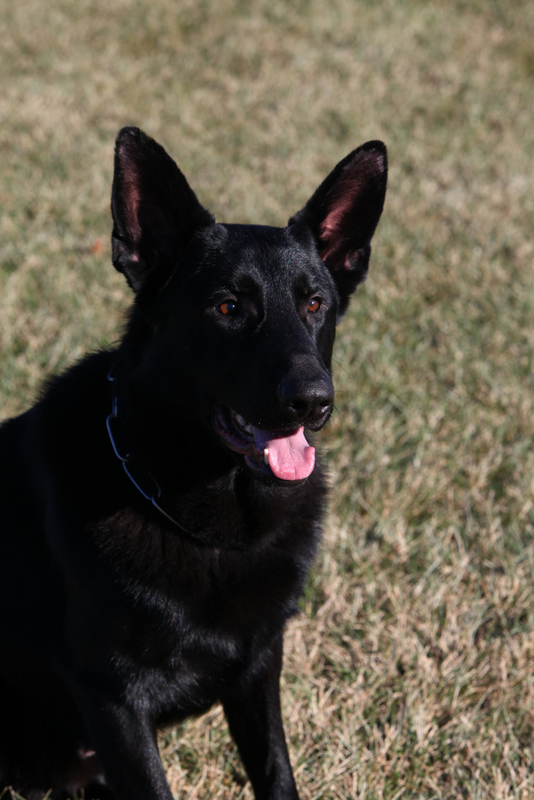 Luger is a majestic solid jet black male. 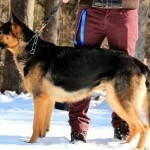 Highly intelligent with great obedience. 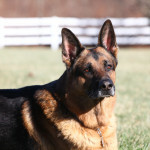 Loyal & well-mannered companion dog. 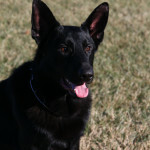 Very playful & incredibly gentle with children yet highly protective if called for. Eager to please both handler and family. 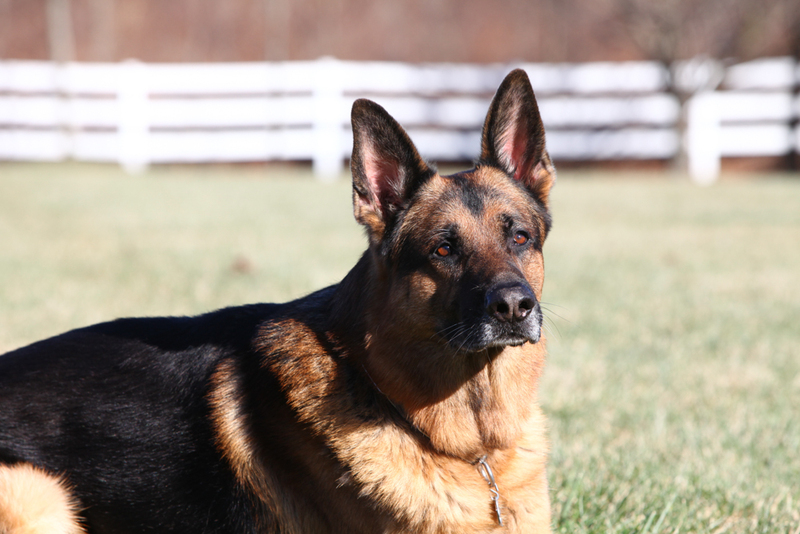 A loving & interactive dog with all the qualities a great family German Shepherd should have.